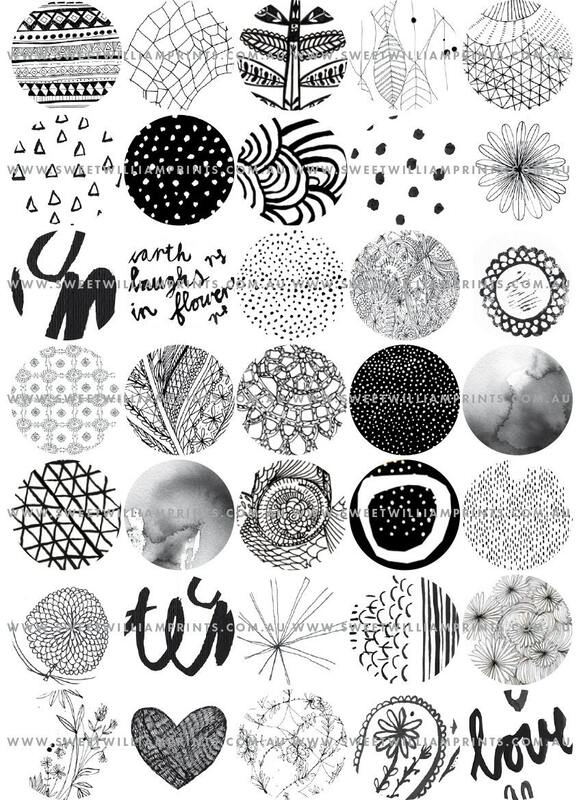 This is a selection of lovely 1.5 x1.5 inch round images of my drawings and doodles for all your creative projects. They are ideal to be used for stickers, magnets, scrapbooking, gift tags, card making or just to make your parcels and gifts look gorgeous. Image samples are low resolution images, the files you receive will be a high resolution 300dpi PDF without the watermark. ALL PDF SHEETS require cutting and should be printed on heavy cardstock for best performance. Canon do a great matte photo paper in 170 g/m. 3) Download, print, cut out, go wild!